Osmund-Davizid writes "Following the signing of the Pact of Greyhawk, the City of Greyhawk became the diplomatic center of the Flanaess. Needless to say, this has also made Greyhawk the center of much intrigue. Here is the report of a King’s Agent who is working undercover for the Keoish embassy. " scottdprt writes "Viscount Cronin Secunforth III has been at the reigns of Salinmoor for over 20 years. Whether his decisions will lead to the rise of the towns of Saltmarsh and Seaton or their ultimate downfall has yet to be written in the history books. A history of Salinmoor bridging the gap between Living Greyhawk and Greyhawk Reborn. Currently being used as a foundation for the Grehawk Reborn Interactive at Mepacon Fall 2013 in Clark Summit, Pennsylvania." Phalastar writes "The Diving Dragon Inn is a favourite with the locals of Rockport. Rockport is a small town situated on the eastern edge of Irongate territory near the border with Naerie. Tasty food, flowing ale, good stories and adventure awaits..."
mempter writes "The Wild Goose, as it is known, is among other things a gateway to a multi-dimensional demesne known as The World Serpent Inn, a popular stopping point for many a traveling planehopper." rasgon writes "The story of the Ahlissim Flan, natives of the ancient Kingdom of Ahlissa, as told in their own sacred scriptures. " Dark_Lord_Galen writes "The alignments are sometimes a challenge to the new player so back then I created a “list” of popular known character types that (IMO) defined the alignments." ragr writes "An unassuming shop in a quiet town. A pleasant young man. A less than noble lord. A personal hurt that must be salved." SirXaris writes "Ever needed a higher level base of operations for your characters than the Keep on the Borderlands? Welcome to Sanctigaard, Eastboro, and the Demesne of Sir Xaris! If your campaign is pre-Greyhawk Wars, your heroes can use this village as a base from which to make assaults upon the humanoids and other mysteries of the Pomarj. If you wish to incorporate the Greyhawk Wars into your campaign, Castle Sanctigaard is a great place for your characters to make their last stand in an Alamo-like finish. If you simply need a new and exciting NPC benefactor for your PCs, this is the place. :)"
Icarus writes "Ancient colliseums hold the secrets of their Masters and of those who fought and trained there. There is one in particular which holds the secret of crossing time and place. Within those ruined walls trained a warrior who was forced to make a choice; choosing between his tribe fade into obscurity and die, or giving up his way of life and foregoing his memories and becoming one of the greatest mercenary leaders from the time of Caerdiralor, a Captain of the Nameless Legion." gvdammerung writes "The Chronicles of Keoland begins with a discussion of the reign of the first king of Keoland, Nyhan I. In Keoland's earliest days, the nation was still forming, still developing institutions, customs and protocols that are now, some 800 years later, taken for granted. Nothing, however, was certain about Keoland's future when its first king was crowned. Much has changed with the passage of centuries and to look back in time is to know a very different Keoland, a Keoland that only time and experience would transform into the nation that is now thought of as almost synonomous with the Sheldomar Valley. Turn now to the first stirrings of the Kingdom of Keoland and its king, Nyhan I. Much will be familiar. More will be different. Future entries in the Chronicles of Keoland will continue the kingdom's story through its monarchs. In the process, the kingdom's history and development will be revealed - how what was came to be what is." gvdammerung writes "Meet the indifferent, apathetic and seemingly cursed lords and ladies of the Viscounty of Salinmoor. Those possessed of energy and enthusiasm surely exist within the Viscounty but they are almost universally of an unrelentingly vile disposition. Sleep with the fishes or swim with the sharks." gvdammerung writes "The last in entry in the four part Guide to Salinmoor, this article looks at three adventure locales within the Viscounty of Salinmoor." kirt writes "This article gives tables for the placement of treasures on individual Wolf Nomads and within their camps. The tables are constructed to yield the same gp value as the standard AD&D 1st Edition treasure tables, but to give results more specific to the Wolf Nomad culture: mostly furs, horses, and gems. Thus, a DM whose campaign enters the lands of the Wegwuir now has a tool for the rapid generation of treasures with site-specific flavor." gvdammerung writes "Hark now to the roll of the Viscounts of Salinmoor. Of whatever ability, none have been able to long avoid the doom that is Salinmoor." Osmund-Davizid writes "King’s Agent Lashton has recently ordered a thorough internal security check on the Kingdom of Keoland, citing various internal and external threats to the Lion Throne. Agent Verilydd Jordox, returning from his mission to reconnoiter the former lands of the Sea Princes, has provided the following report on the state of the Viscounty of Salinmoor." MerricB writes "The County of Ulek, gravely threatened by the Fhoi Myore incursion, has various problems from without and within. This article details some of them." 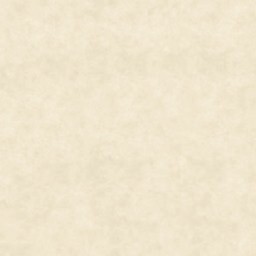 gvdammerung writes "Adventurers steal. They kill. They may do worse. And they get away with it. And they are heroes. Alignment may slow them down but it doesn’t stop them. How do they get away with it? Turns out, it is precisely because they are adventurers. Everything is not legal but much is. Read on." chatdemon writes "Since the advent of letters of marque and colonial titles being issued by the Despotrix of Hardby in recent years, scores of adventurers have set off from that city to explore the Amedio Jungle. Few have returned, but those who do tell fantastic tales of the strangeness of the land and its inhabitants. One of those strange tales involves a seemingly innocent flower, and the horrors that all too often lurk nearby." gvdammerung writes "Pirates. Buccaneers. Corsairs. Privateers. Seahawks. Reavers. Freebooters. You can't tell your pirate-type without a scorecard. So here you go. A quick guide to who is shivering your timbers and making off with your booty. Get ready to walk the plank. Its time to raise the black flag!" CruelSummerLord writes "Ye gods...what on Oerth could possibly motivate some folks to go plunging into living trees, searching for magical swords, entering the memories of their dead allies, and raiding the holds of formorian giants?They're adventurers, Rufus. It's what they do. - Rufus and Burne, Guardians of Hommlet." gvdammerung writes "What drives trade over long distances between ports in the Flanaess? Ask the pirates. These sea dogs know more, and can tell us more, about sea trade in the Flanaess than any desiccated sage half hidden behind stacks of account ledgers. A pirates business is trade and its interception. They sail a wine dark sea." mortellan writes "Within the lawless region of Ull exists an organization of wealth that rivals the Pit Masters of Kester and has the influence to affect the decisions of the Orakhan. Ull’s black market has always operated openly much to the chagrin of established Baklunish trade groups like the Mouqollad, but now the Yellow Cartel’s emergence in Ull has given them new cause for concern." Phalastar writes "Once a small but thriving guild focusing on the production of magical arms and armor, the United Artificers of Irongate have now become an influential magical guild with a large membership. The associated wizard’s school is highly regarded and their school of evocation is one of the finest in the Flanaess. The following article provides a short description of Irongate's only magical guild." chatdemon writes "The intrigues of court life are rarely honestly documented, and when they are, woe to the hapless adventurers who get caught up in them. This is one such noble secret laid bare, the diary of the sister of Querchard Emondav, Earl of Sterich. What will the the adventurers do with the information it contains?" MerricB writes "Once a small insignificant town near the coast of Old Medegia, Cofston has grown into a thriving small city since its rulers made good decisions for rebuilding following the Greyhawk Wars. Unfortunately, success breeds attention, and the attention on Cofston is such that the Flanaess may be the worse for it." setanta writes "This is the first in a planned series of articles that will explore the origins and nature of vampirism, as well as the varying vampiric bloodlines of Oerth and the regions they inhabit, focusing primarily on those of the Flanaess, and perhaps a few from beyond. This will by no means be a complete catalog of vampires from Aerdy to Zindia, as much as such a resource would be inexhaustibly useful, but will hopefully infuse some (forgive me) “fresh blood” into the vampires of the Greyhawk campaign world." Muscles writes "Need some more depth to your humaniod encounters? It all starts with language." DangerDwarf writes "Battles rage within the eastern provinces of the Principality of Ulek. Learn about the Order of the Axe and their role in trying to reclaim these lands from the orcish hordes." Osmund-Davizid writes "An excerpt from the debriefing report of King’s Agent Verilydd Jordox regarding his mission to reconnoiter the former lands of the Sea Princes and to provide a military briefing on the status of the Siege of Westkeep:"
Phoebus writes "Ever wonder what happened to the old bards during translation to 3rd edition Greyhawk? This is the first part in a treatise reconciling the AD&D bard of Greyhawk with 3rd edition as well as giving background on why this shift might have happened. Look for a prestige class, Old Lore Bard, in the future." BusterBudd writes "Read the secrets of a party of adventurers exploring the eastern Flanaess in this journal, recovered by some of their successors. The secrets of Greyhawk await!" Osmund-Davizid writes "Much has been written regarding the expansion of Turrosh Mak’s empire to the north along the Wild Coast. But little reliable information has been recorded regarding his western front, the Disputed Territories of the Principality of Ulek, or of changes within the Pomarj itself. Keoish agents have recently returned to Niole Dra with updates from within this dark land. This information has been spread to government agents of Keoland, the Principality of Ulek and the City of Greyhawk. Adventurers with appropriate connections to law enforcement, military, or intelligence agencies of any of these three nations can have access to the following information. Much of the news and locations described below have not yet become public knowledge." CruelSummerLord writes "The Caverns of Tsojcanth, Bone Hill, Saltmarsh, the Forbidden City...all these places are sung with dread in the lore of adventurers. But what other lairs of good and evil lie out there, so far beyond?" Issak_the_Pale writes "Based upon Montand's Future of Greyhawk, this article describes the gains and losses of the Theocracy of the Pale between CY 590 and 596. Furthering my original article The Palish Path of Pholtus, this piece features the Pale's conquest of Nyrond, Urnst and much of Tenh, and also describes the founding of an Orc-Hobgoblin nation - Sil-Krag - in northern Tenh, as well as the Battle of the Phostwood (where the elves and humaniods became allies). This alternate future is the basis of my current campaign - The Stroun Campaign - in which the PC's call Stroun their home and attempt to defend it from the advancing military might of Sil-Krag." chatdemon writes "What's a festival without hearty food and drink? The traditions of the Flan people in celebrating the spring fest week are truly ancient, but still widespread in the Flanaess of 570 cy. Take a peek into the journals of connoisseur (and archmage) Otto and discover some of the enchanted delicacies served up during the Growfest holidays.In AD&D2e format, pre-wars era setting.Author: Rich Trickey"
chatdemon writes "The battle rages on between the people of Ulek and the Orcish horde of Turrosh Mak in the Pomarj, but as one doomed scout relates in his journal, the Orcs are merely a nuisance compared to a new threat growing in the east. Edition/Game lite, post wars/Living Greyhawk era setting. Author: Rich Trickey"
chatdemon writes "Even at the height of colonial fervor, there are those who balk at expansion and shed tears for the innocence lost by those who inhabit the realms being explored and exploited by the visionaries of the Flanaess. The Fellowship of Amber is one such group, and they're well prepared to make life hell for any who intend to explore the AmedioAuthor: chatdemon"
chatdemon writes "On Oerth, it's often the least likely candidates who become heroes, and in this case, that applies even to a ship. This former slave ship and her crew prowl the waters of the Jeklea Bay region, fighting an endless war against slave traders and agents of the Scarlet Brotherhood. Included exclusively on Canonfire! are the complete D20 compatible stats for the ship!By: chatdemon"
vladimirsusthiat writes "The events of the years leading up to the Greyhawk wars are the subject of much debate among the scholars of the Flanaess, and the truth of the matter still remain a mystery. Uncovered here is one story of that era, a prelude to the horrors of the wars. Author: Vladimirsusthiat"
Kirt writes "Revealed herein is the secret training that produces elven heroes and Knights of the Hart. Author: Kirt"
MerricB writes "Cirrem, the Dreamer-Minstrel, reveals a little-known tale of the days before the Invoked Devastation - the tale of the True Oracle of Istus, its days before the Invoked Devastation, and its fate afterwards. Author: MerricB"
MerricB writes "In general, the court of Count Lewenn of Ulek is a harmonious place. One of the Count's best-loved advisors is the court wizardess: Lady Caitlin of Greyhawk. This article profiles the Lady Caitlin, as well as the two previous holders of the position. Author:Merric Blackman"
MerricB writes "This article contains notes on the connection between the origins of Greyhawk campaign and the Dungeons & Dragons game; as well as brief descriptions of important places and events in the World of Greyhawk. For the most part, it deals with the world as it was in 576 C.Y; more recent events leading up to 591 C.Y. (the year of the Living Greyhawk Gazetteer) will be covered in a later article. Author:Merricb"
MerricB writes "The following article is speculation as to how events might take place in the G1-3, D1-3 & Q1 series of modules. D3 being what it is, there is a wide variance as to how that module might fall out, but this may give you ideas as to how you could run it. Author: MerricB"
MerricB writes "A small olven village in the Vesve. Author: MerricB." Anonymous writes "For many years, horrors have laid buried beneath the Sheldomar, until the recent upheavals have allowed a number of them to escape. Heretics and cultists are also stirring up trouble as plans set in motion ages ago are coming to fruitation. Author: Jesse Dean"